I use natural stone to carve a feature for your garden or an ornament for your home. If you have an idea for something original that you would like to be carved in stone you can contact me and we can discuss how I can faithfully create this for you. I can also reproduce artwork that already exists as a piece of sculpture or from a drawing /painting from a period of history. 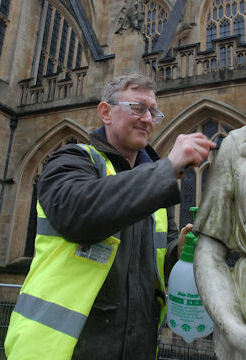 If you own a listed property or if the building is of historic value I use conservation methods to repair the stonework. I am qualified and experienced in building conservation. I can add small pieces of new stone (stone indenting) to areas of damaged stone or repair the stone with color matched lime mortar. These minimum intervention, repair methods, will preserve and retain as much of the original fabric and appearance of the property as possible. When I am restoring a property this involves adding more new stone. I may need to remove damaged sections of stone. The stone may be too badly weathered and eroded to repair. Restoration would involve me carving and fixing new stone to replace the damaged stone. I have over 10 years’ experience as a stonemason and stone carver. 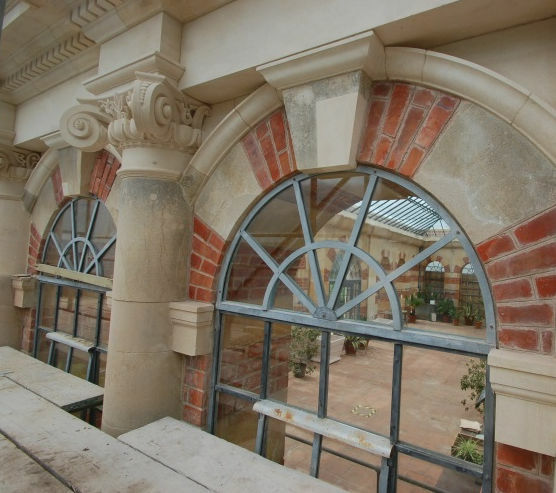 I provide carved stone for historic buildings and churches aswel as residential property. 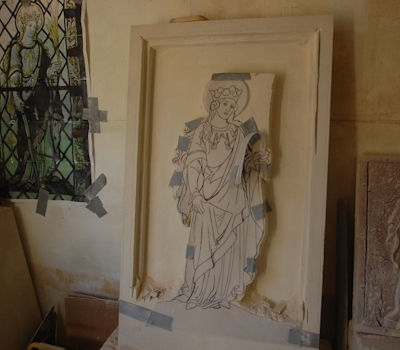 I am experienced enough to create carved pieces of stone based on Romanesque, Anglo Saxon or Gothic design. I am also receptive to new artistic ideas and architectural design and to provide carved stone to suit. I have the capability to add value to new ideas. My training to advanced level stonemasonry was completed in 1997. I completed an advanced level qualification in and Heritage Skills at Bath College 2013. The later course has added to my experience with a knowledge of conservation repair. This website shows a glimpse of the work that I have been involved with. I have an artistic aptitude and this can be seen in the pictures on the stone carving page. Precisely, I endeavour to provide a service that will accomplish the needs of the customer with the carving and fixing of natural stone. The website shows a selection of limestone’s; Bath stone, Portland stone and Hamstone being used for structural or artistic purpose. By acknowledging your requirements for the Historic property or modern residence I can explain what is necessary, while adhering to best conservation and restoration practice. We were thoroughly impressed with Raymond's excellent work. He restored the stonework of our Georgian house in Bristol to its original beauty with such dedication and precision. He was polite, professional and a delight to have working at our property. We would whole heartedly recommend him. Raymond has done a fantastic job restoring the bathstone in my Bristol townhouse. He was very hardworking, quick, polite and delivered what he said he would at a very reasonable price. He also repointed the black stone on the front of the house to a very high standard. I would definitely recommend him for stonemasonry projects.